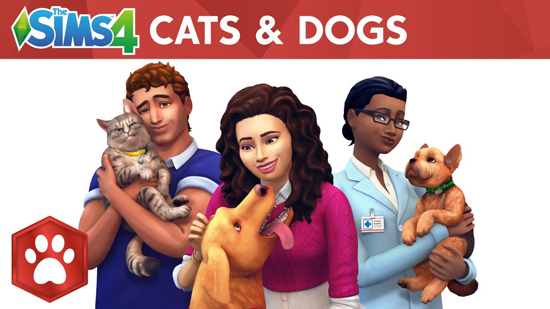 The Sims 4 Cats & Dogs Expansion Pack on PC and Mac, and that The Sims 4 is coming to Xbox One and PlayStation 4 consoles on November 17th. With the new Create A Pet tool, create and customize the most expressive and distinct pets ever, choosing from a wide variety of cat and dog breeds (or a mix), to give each pet their own unique look. Players can also customise their cat and dog’s coats with a variety of patterns, or directly paint and manipulate their appearance with spots, stripes and details that make each pet truly stand out from the rest. But that’s not all! On November 17th The Sims 4 will launch on Xbox One and PlayStation 4 consoles worldwide, ushering in the iconic game players know and love to new platforms. An initial selection of fan-favorite downloadable Packs will also be available for individual purchase at launch, including The Sims 4 City Living Expansion Pack, The Sims 4 Vampires Game Pack, The Sims 4 Perfect Patio Stuff Pack and The Sims 4 Vintage Glamour Stuff Pack. The Sims 4 is rated ‘T’ for Teen by the ESRB and is available for $49.99 November 17 on Xbox One and PlayStation 4. The Sims 4 City Living Expansion Pack, The Sim 4 Vampires Game Pack, and The Sims 4 Vintage Glamour Stuff Pack experiences will also be available for purchase as a digital bundle for $49.99.